When our false perception is corrected, misery ends also. Brahman is the only truth, the world is illusion, and there is ultimately no difference between Brahman and individual self. Where renunciation and longing for liberation are weak, tranquillity and the other virtues are a mere appearance, like the mirage in the desert. A lighted-lamp does not need another lamp to illumine its light. 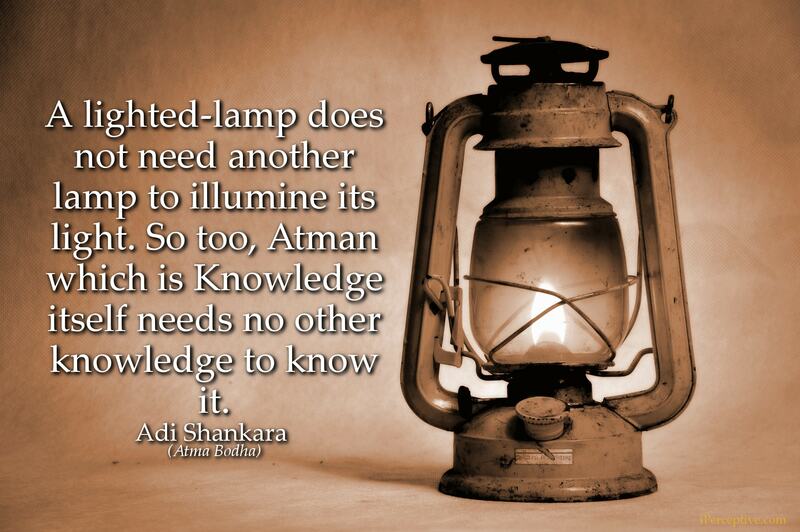 So too, Atman which is Knowledge itself needs no other knowledge to know it. Like the space I fill all things within and without. 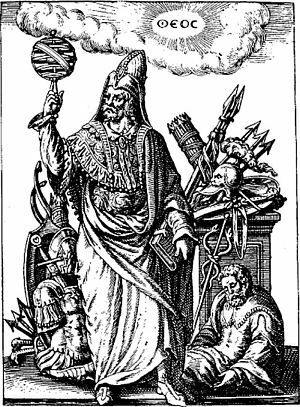 Changeless and the same in all, at all times I am pure, unattached, stainless and motionless. When the Great Reality is not known the study of the scriptures is fruitless; when the Great Reality is known the study of the scriptures is also fruitless. Realise that to be Brahman which is neither subtle nor gross: neither short nor long: without birth or change: without form, qualities, colour and name. Though he lives in the conditionings, he, the contemplative one, remains ever unconcerned with anything or he may move about like the wind, perfectly unattached. Attachment, desire, pleasure, pain, etc., are perceived to exist so long as Buddhi or mind functions. They are not perceived in deep sleep when the mind ceases to exist. Therefore they belong to the mind alone and not to the Atman. By a process of negation of the conditionings (Upadhis) through the help of the scriptural statement'It is not this, It is not this', the oneness of the individual soul and the Supreme Soul, as indicated by the great Mahavakyas, has to be realised. Let my idle chatter be the muttering of prayer, my every manual movement the execution of ritual gesture, my walking a ceremonial circumambulation, my eating and other acts the rite of sacrifice, my lying down prostration in worship, my every pleasure enjoyed with dedication of myself, let whatever activity is mine be some form of worship of you. Though he lives in the conditionings (Upadhis), he, the contemplative one, remains ever unconcerned with anything or he may move about like the wind, perfectly unattached. On the destruction of the Upadhis, the contemplative one is totally absorbed in "Vishnu", the All-pervading Spirit, like water into water, space into space and light into light. Realise That to be Brahman, the attainment of which leaves nothing more to be attained, the blessedness of which leaves no other blessing to be desired and the knowledge of which leaves nothing more to be known. 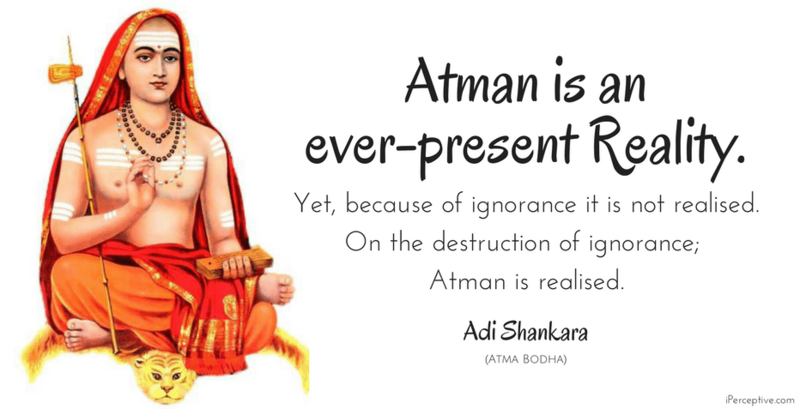 Adi Shankara was an 8-9th century non-dual master philosopher and sage. 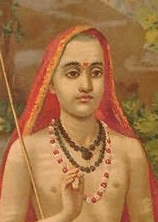 He is best known for being one of the foremost proponents of the spiritual school of "Advaita Vedanta".